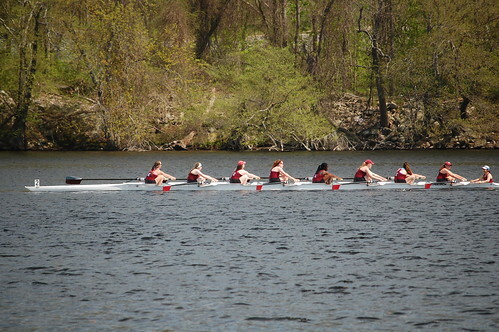 The first, second, and third eights of the boys and girls squads returned to Lake Quinsigamond in Worcester, MA on Saturday for the 2016 New England Interscholastic Rowing Association (NEIRA) Championship Regatta. 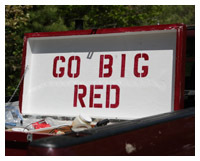 NEIRAs, or Interschols, are the culmination of the spring racing season, with qualifying heats in the morning and final races in the afternoon on the 1500 meter Quinsigamond racecourse. In the morning heats, all boats qualified for the grand final except for B1 amid a crosing head wind. In a close heat, B1 could not break through and finished third behind Salisbury and St. Paul’s, leaving them to race in the petite final. In the afternoon, the mercury hit 90 degrees–the first hot day this spring–leading to heat exhaustion for some athletes. On the boys side, B1 crew finished fifth in the petite final behind Andover, Tabor, Fairfield Prep, and Hingham. B2 finished second in the grand final half a length behind Kent. B3 finished first ahead of St. John’s, capping off a spectacular undefeated season. 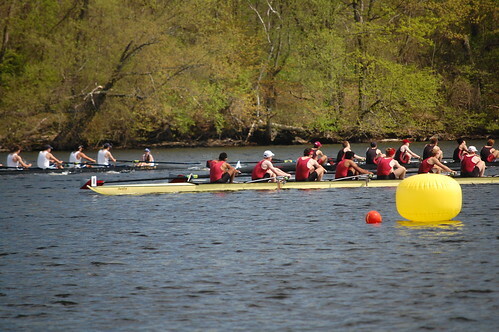 On the girls side, G1 finished less than a length behind Kent–the only crew to whom they’ve lost all season. G2 had a decisive open-water victory over St. Paul’s, to whom they lost only a week earlier. G3 won their grand final by nearly eight seconds to cap off their own undefeated season. All twelve Exeter boats traveled to Andover yesterday to race Phillips Academy and Tabor on the Merrimack River. In a historic first, Exeter swept Andover and Tabor in all eleven races, with margins from a few seats to lengths of open water. According to historical records, this was the first time that any school had swept the 1st through 4th boat races (at least since 1986).